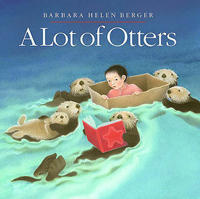 Barbara Berger is the author of illustrated childrens' books that are known for the wonderful quality of both their writing and their art. 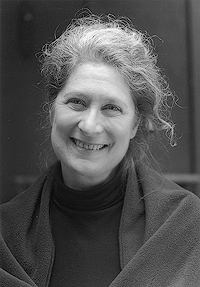 Having studied art at the University of Washington, Berger published her first bookAnimalia in 1982, inspired by her love of illuminated manuscripts. 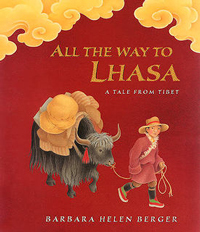 She went on to create Grandfather Twilight (1984), The Donkey's Dream (1985), Gwinna (1990), A Lot of Otters (1997), and All the Way to Lhasa: a Tale from Tibet, (2002) where she blended her personal style with the influence of Tibetan art. 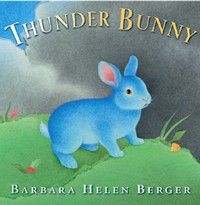 In her latest book Thunder Bunny (2007), Berger combines her artistic style with the medium of collage. In 2006, Barbara Berger was named an Island Treasure by the Bainbridge Island Arts and Humanities Council. Being an Island Treasure comes on top of many other honors Berger has earned over the years - such as the Golden Kite Award for Picture-Illustration, Parents' Choice Foundation Award for Illustration, the Children's Book Award from Pacific Northwest Booksellers Association, and twice a Washington State Governor's Writers Award. For more information on the author check http://bhberger.com/.